Time to shine bright with Diamond Empire! 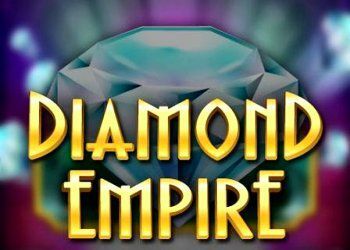 A high energy 3-reel slot reminiscent of all-time casino favorites, Diamond Empire marries classic and classy in a modern game that is loaded with double diamond multipliers awarding up to 650x. Take in the exquisitely painted Art Nouveau theme while you trigger the exciting Wheel Bonus feature where you can win up to 888 times your bet. The jazzy beats and the immersive ambient sounds will transport you right to the casino floor without leaving your PC or device. Come experience the glamour of Diamond Empire, where brilliant wins await!